C.N. Annadurai, founder of the DMK and Tamil Nadu’s first non-Congress chief minister (1967-69), would often say that the ‘kazhagam’ was "like a family". To bring about a greater bonding between its members, he had introduced an element of kinship, addressing his partymates as ‘thambi’ or younger brother while he himself was ‘anna’ or the protective elder brother. People accuse his successor, the present DMK chief and Tamil Nadu chief minister M. Karunanidhi, of turning this familial informality in the DMK on its head and making "his family the party". This charge against Karunanidhi has been a ‘local truth’ for many years now, but the high drama enacted in the capital on May 21 and 22, when the Kalaignar brazenly bargained for ministerial berths and lucrative portfolios for his family members in the Union government, ensured that this home truth rudely foregrounded itself before the nation to find universal circulation. Which begs a whole litany of questions. How did Karunanidhi manage to make his family the party? What political compulsions drove him down this path? How did a cadre-based party yield itself to dynastic pressure? Who among his children has maximum control over the party? How much do his wives influence his decisions? And who in the family will succeed Karunanidhi? It is a story that Karunanidhi, a scriptwriter by profession, has been writing with a masterly control over the characters. Now, at the ripe old age of 86, he fervently hopes to give the tale a happy ending. Over the years, the intersection of politics, business and media has made the extended Karunanidhi clan all-powerful. At one end of the spectrum are key players in the political game—sons M.K. Stalin, M.K. Azhagiri, daughter Kanimozhi and grandnephew Dayanidhi Maran. At the other end is Kalanidhi Maran’s impressive media empire, comprising the powerful Sun TV network (whose net worth is Rs 1,189 crore and which has separate channels in Tamil, Telugu, Malayalam and Kannada), the Dinakaran newspaper, Sumangali Cables and Sun Digital. Karunanidhi also floated Kalaignar TV following a fallout with the nephews but relations have become better since. Karunanidhi’s most recent assertion in New Delhi can be seen as an effort to settle each branch of his family. Getting M.K. Azhagiri, the elder son, a ministerial berth will ensure a smooth transition of power to his younger son, M.K. Stalin, in the state. Azhagiri and Stalin are Karunanidhi’s children from his second wife, Dayaluammal, whom he married after his first wife Padmavathi died. Azhagiri has been elected as an MP for the first time from Madurai and, among the children, Stalin has served the party longest and is widely seen as someone who’ll take over the reins of the party from the father. The initial effort to secure an MoS berth with independent charge for Kanimozhi was apparently at the behest of his third wife, Rajathiammal. The pressure to include grandnephew Dayanidhi Maran, after the short estrangement and reunion last December, is believed to have come from his daughter Selvi, also born to Dayaluammal. Selvi is married to her first cousin Murasoli Selvan, brother of the late Union minister Murasoli Maran. The two brothers are Karunanidhi’s nephews, and Maran’s two sons complete the family jigsaw. Family aside, cabinet berths were also demanded for T.R. Baalu and A. Raja, but most see that as hopeless tokenism. Even here, say party insiders, the affiliations of these two outsiders to different family branches played a major role in their fortunes. Both Raja and Baalu are said to be close to the Rajathiammal camp, and only one among the three from the camp, including Kanimozhi, could be accommodated given the limited seats. Even among the four MoS positions the party has got, S.S. Palanimanickam is said to owe allegiance to Rajathiammal, while the remaining three (Gandhiselvan, D. Napolean and Jagatrakshakan) have Stalin’s ear. 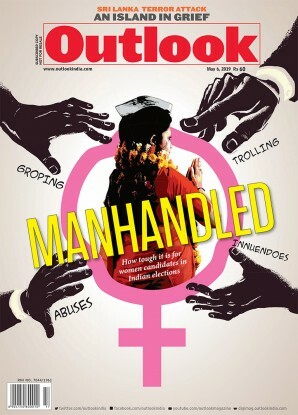 On her stepping aside, Kanimozhi told Outlook: "It was the right thing to do. Let’s leave it at that. There is nothing great in what I have done. The party is more important than me." 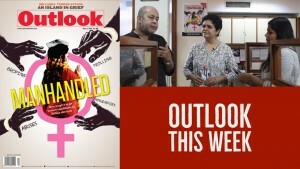 However, Tamil writer Gnani feels Kanimozhi’s withdrawal could only be tactical and there could well be a plan in place to "accommodate" her later. Incidentally, both Kanimozhi and Baalu skipped the swearing-in ceremony on May 28. Not just for berths, family dynamics were at play for portfolio allocations as well. Azhagiri is believed to have been ‘livid’ with the Congress for floating Dayanidhi Maran’s name for IT & communication (though it was finally retained by Raja, while Dayanidhi got textiles). The two reportedly had an altercation on the subject. "It was a blunder on the Congress’s part to have circulated Dayanidhi’s name," says a political observer. "This only united the core family, and the default advantage went to the Rajathiammal camp." A senior DMK leader also hinted that "Dayanidhi was there only because his father Murasoli had served our party and leader loyally". The senior Maran, son of Karunanidhi’s sister Shanmugasundarammal, had first contested the bypoll for South Madras in 1967 when Annadurai had resigned to become the chief minister. From then on, he had been his uncle’s key advisor and party strategist till he passed away in 2003. Azhagiri’s antipathy for the Maran brothers had spilled out in the open in 2007 when Dinakaran carried an opinion poll showing Stalin having a huge edge over Azhagiri—72 per cent vs 2 per cent!—in the succession battle in the party. Subsequently, the newspaper’s office in Madurai, deemed an Azhagiri fiefdom, was attacked and three employees killed. Following this, Dayanidhi lost his IT & communications portfolio and was replaced by Raja. Meanwhile, the offices of Sun were also shifted out of the DMK headquarters in Chennai. The Marans, in turn, pressurised members of the Karunanidhi clan to offload their stake in Sun for Rs 100 crore. This was considered a paltry sum—less than 15 per cent of its real worth. The DMK chief went public with the charge that his family had been shortchanged. However, all was forgiven and forgotten in December last year and Dayanidhi was back in his granduncle’s good books, his name duly included among those for whom Karunanidhi would actively canvass. The manner of his haggling, though, came in for trenchant criticism. It so clouded his judgement, the tongue-waggers said, that he gave even the most basic political courtesy of attending the PM’s swearing-in ceremony a go-by. His observers maintained it was a rare lapse, but it did not stop Dr V. Maithreyan, the AIADMK leader in the Rajya Sabha, from remarking, "The Tamil Nadu CM goes all the way to Delhi to wrangle ministerial positions for his family, but when things don’t go according to plan, he returns without even attending the swearing-in ceremony of the prime minister. When other leaders like Laloo and Mulayam could have the courtesy to attend, it is surprising that Karunanidhi chose to insult the prime minister. This perhaps was the reason why the Congress never rushed an emissary to Chennai after that. He finally had to climb down to save the family interest. Even the Nehru-Gandhi dynasty did not have the courage to have two ministers in the cabinet at the same time. When Nehru was PM, Indira was not part of the government, and similarly when Indira was PM, Rajiv worked in the party." A Congress leader, though, was more charitable to the octogenarian chief minister. "You should understand he is old and frail," he said. "He is no longer the strong man that he was. He is being pressurised and nagged by his family. Even though I agree that ministerial berths are decided solely to meet the expectations of the family members, there is also an implicit effort to bring about a caste balance. Raja is a Dalit, Palanimanickam a Thevar, Gandhiselvan a Goundar, Napolean a Reddiyar and Jagatrakshakan a Vanniyar." Karunanidhi himself belongs to the backward community of temple artistes called Isai Vellalar. His second wife hails from the same community, but Rajathiammal belongs to the powerful Nadar community. That also in some way explains her clout in the party, which was not so apparent till 2007 when at her behest Kanimozhi was made MP in the Rajya Sabha. Between his two wives, Dayaluammal is said to be passive when it comes to politics; it is the sons who do the talking with the father in her case. Rajathiammal, however, is perceived to be relatively ambitious, is said to have a definite political interest and has a sharp tongue to boot. The two have rarely appeared together in public. One recent occasion when they did was when Karunanidhi went on his 4-hour ‘satyagraha’ for Sri Lankan Tamils. The two maintained a decent distance—if one sat at her husband’s feet, the other took place by his head. Some political observers feel it is only natural that Rajathiammal is trying to assert herself and seek a ‘political settlement’ for her daughter, because in a post-Karunanidhi era Stalin or Azhagiri may or may not oblige her. However, of the two brothers, Azhagiri is said to have a better equation currently with half-sister Kanimozhi. Stalin has been accommodative of the Marans. The growing acceptance of Rajathiammal’s CIT Colony house as a venue for party meetings other than the CM’s Gopalapuram residence speaks volumes about her position in the party. The recent meeting between national security advisor M.K. Narayanan and Karunanidhi also took place here. However, even as political circles in New Delhi and elsewhere debate the DMK’s dynastic nature and avarice, there is very little evidence of resistance or vocal resentment in the party itself. "The family has been naturalised into the party by our leader," says a senior DMK leader. "The dynastic element in the party is not new at all, my father was an MP and I am an MP now. I can quote many such instances in Tamil Nadu since the ’60s outside the Karunanidhi family. People who criticise the DMK should realise that Stalin and Azhagiri have worked in the party for 40 and 20 years respectively." Social scientist M.S.S. Pandian agrees. "Why should we view Azhagiri as only Karunanidhi’s son?" he asks. "He has actually been the party’s commander in the south of Tamil Nadu. He has delivered the south, traditionally an AIADMK bastion, to the party in the current Lok Sabha elections, so why shouldn’t he be rewarded for it? Azhagiri has done for the DMK what Rahul Gandhi did for the Congress in UP. If Manmohan Singh can offer a cabinet berth to Rahul, why shouldn’t Karunanidhi do so to Azhagiri?" Writer Gnani begs to differ. "Seniors in the DMK," he says, "are there only for consultation, they are not considered for posts. The party is not rewarding loyalists like Tiruchy Siva who has been in the party for 40 years and is as an intellectual. But someone like Jagatrakshakan who joined the party before the elections becomes a minister." A senior Congress leader and former minister takes exception to Pandian’s comparison of Azhagiri to Rahul. "A key difference between Rahul and Azhagiri," he says, "is that Rahul refused the cabinet berth. There is also a lot of difference between the Nehrus and the Karunanidhis. Just take poll-related corruption: it is commonly believed that the DMK has muscled and monied its way through. Apparently Rs 500 notes were put in envelopes and slipped under house doors. In fact, the joke doing the rounds is that some people kept their doors open all night." Adds another Congress leader: "If not money, there is no other way to explain the defeat of someone like Vaiko in Virudhunagar." Neither MDMK chief Vaiko nor Anbumani Ramadoss of the PMK was available for comment. But K. Pandirajan, who contested on a DMDK ticket in Virudhunagar, told Outlook there was a "clear case of bribing the voter". As for dynasty, veteran journalist Maalan says it’s a pattern most parties that have sprung up in TN in recent years try to follow. "They have structured their parties such that the No. 2 is always from the family." He cites the instance of the PMK where the Ramadoss father-son duo calls the shots. Likewise, Vijaykanth’s wife and brother-in-law dominate the actor’s party. AIADMK too has had a closed leadership structure. Vaiko may be the only exception; his two children haven’t been groomed for a role in the MDMK. "The DMK cadre has been systematically split into either Stalin supporters or Azhagiri supporters. You see a similar split in the cabinet too. This ensures that the control either way rests with the family," Maalan says. Tamil novelist Vaasanthi has in her book, Cut-Outs, Caste and Cinestars: The World of Tamil Politics, traced the history of Karunanidhi’s growth and how he has tried to consolidate his family’s hold over the party right from the early years of the DMK. "Even before the DMK came to power," she says in her book, "E.V.K. Sampath, Periyar’s nephew and a major DMK leader, tried to challenge Karunanidhi’s growing influence, but was outwitted. In 1971, when MGR as treasurer of the party had toured the state and helped a DMK victory, Karunanidhi tried to undermine MGR’s base. He induced his estranged son M.K. Muthu (from his first wife Padmavathi) to act in films he scripted in 1972. The hero’s character was fashioned after the roles MGR donned in his films. Muthu imitated MGR and Muthu fan clubs were formed to rival those of MGR. Karunanidhi’s loyalists tried to pressurise some MGR fan clubs to turn to Muthu fan clubs, using financial inducements and police repression. They were in for a rude shock. The MGR fan clubs took to the streets in protest and about 800 clubs threatened to disaffiliate themselves from the DMK. Muthu was a disaster as an actor anyway." After the Muthu fiasco, Karunanidhi’s nephew Murasoli Maran became his confidant. The Kalaignar gave him party organ Murasoli and a foothold in the film industry. Stalin was groomed since the mid-’70s as a youth wing leader. "The family consolidation became rapid and obvious after the DMK returned to power in 1989; they maintained a low profile while they were in opposition for 13 years," says Maalan. It was also in the ’80s that Azhagiri was packed off to Madurai to run Murasoli, but he slowly cultivated the cadres and built his fiefdom in the south. However, even as there is talk of dynastic control, the DMK in Tamil Nadu is seen as a party with a democratic structure. The decisions are at least seen to be taken by the party’s executive council. For instance, when Karunanidhi left Delhi on the morning of May 22, he said the party would meet to decide on the berth-sharing formula the Congress had offered. His critics, however, counter this, saying he could do so only because he knew for sure that nobody would challenge him in the party forum. His non-family inner circle comprises loyalists who do not have a mass base. Senior leaders like Arcot Veeraswamy and K. Anbazhagan have over the years become Karunanidhi’s shadows, never his family.